Photos of students in action: Learning, taking risks, serving others in the community & having fun! Grade 7 students practice governance (some demonstrate good governance while others Not-so-good governance--all part of the simulation game of making decisions for a selected country. 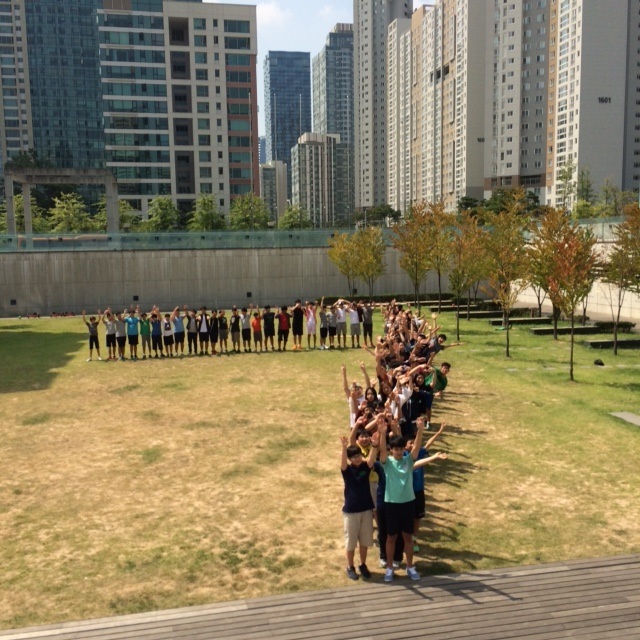 STUDENTS HAD A GREAT TIME LEARNING ABOUT DECISION-MAKING, GOVERNANCE, RISK AND CONSEQUENCES. In the first video: CI Grade 7 students practice good (& sometimes not-so-good) governance while trying to build their selected country's power in global trade through a series of decisions including forming alliances, trading and conserving resources, investing in infrastructure, invading or declaring war, etc. --and surviving and rebuilding after an invasion or war. In Video Part 2: Some of my students decide to form alliances and take a high risk my declaring war on another country. In this simulation, Saudi Arabia declared war on Singapore. The war was fought by playing "rock, paper scissors". Later (not on video), some students discovered their country could collapse if they engaged in war so the strategy was not to create a military or form political alliances but instead to focus on forming economic alliances, increasing production and avoiding upsetting other countries so no one would declare war or invade. They were the real "winners" of today's simulations. 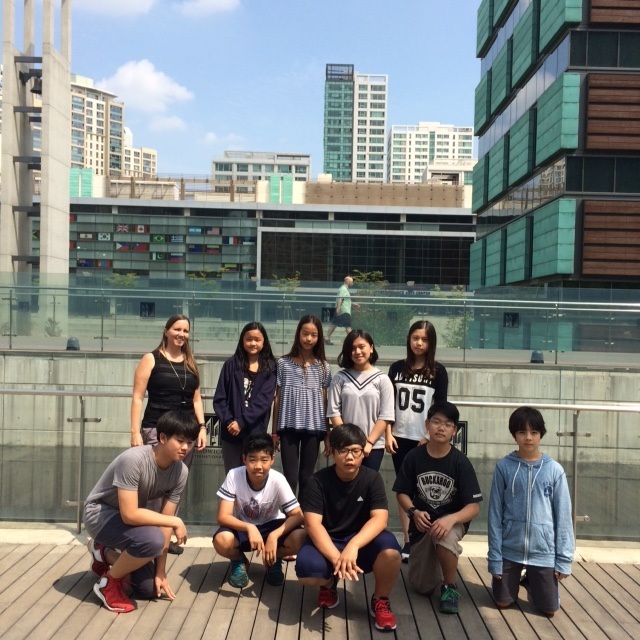 Grade 8 students from Service-Learning Club (Trimester 1) participating in service-learning orientation with their parent chaperone, Mrs. Heather Rusert, at Dongchundong Community Center, Sept. 2, 2015. 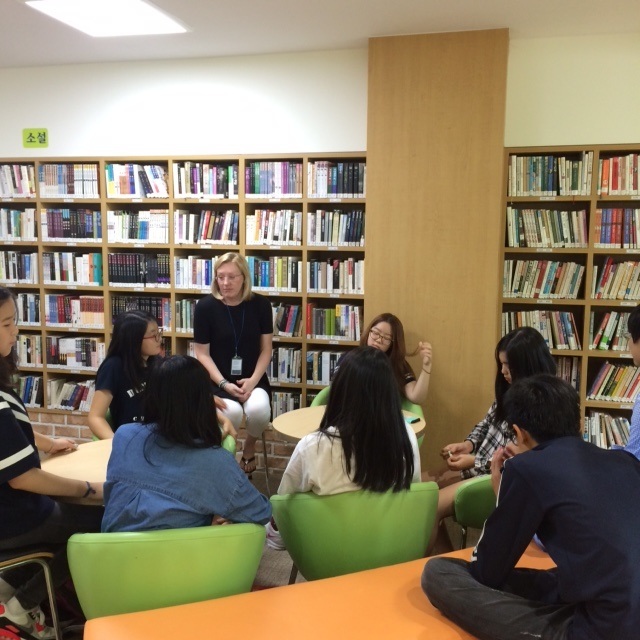 Students will be working with Grades 1-3 from the Incheon community to tutor them with English every Wednesday. Class of 2020 (as Grade 7 students) during final days of school participating in the inaugural BH2O+ "Be Hope To Her" Nuru Walk to raise awareness about water, education and gender issues for people in the developing world that lack access to clean water. 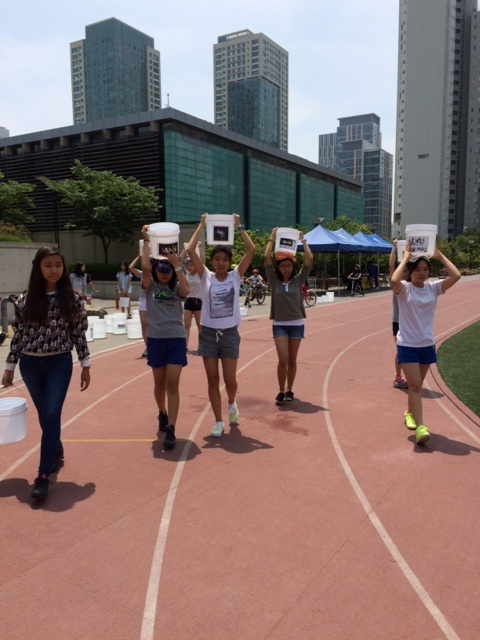 Students walked and raised money to donate to Nuru International. All money raised went directly to Nuru International to support their water, health care and education programs for communities in Kuria, Kenya. 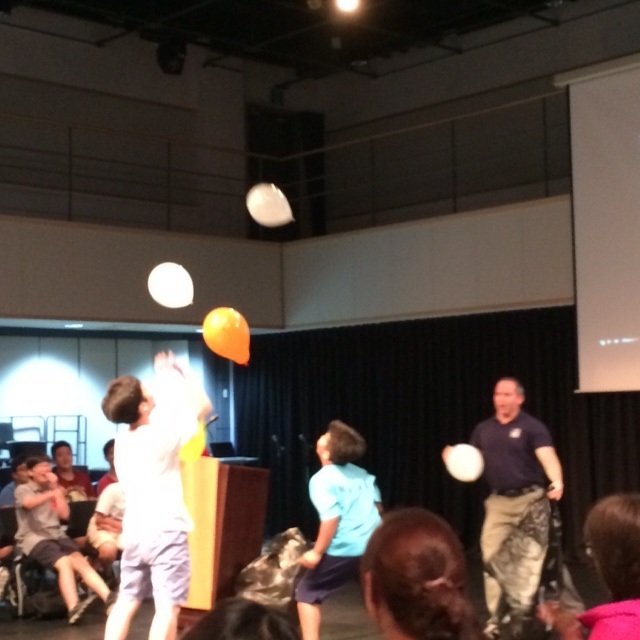 Mr. Kenny Clark demonstrating to our students (and teachers) that sometimes we need support from others to help us juggle all of our responsibilities. Photos may include class activities, grade level or school activities, clubs, field trips & random moments catching students learning and having fun.